"I've seen how you look at me." 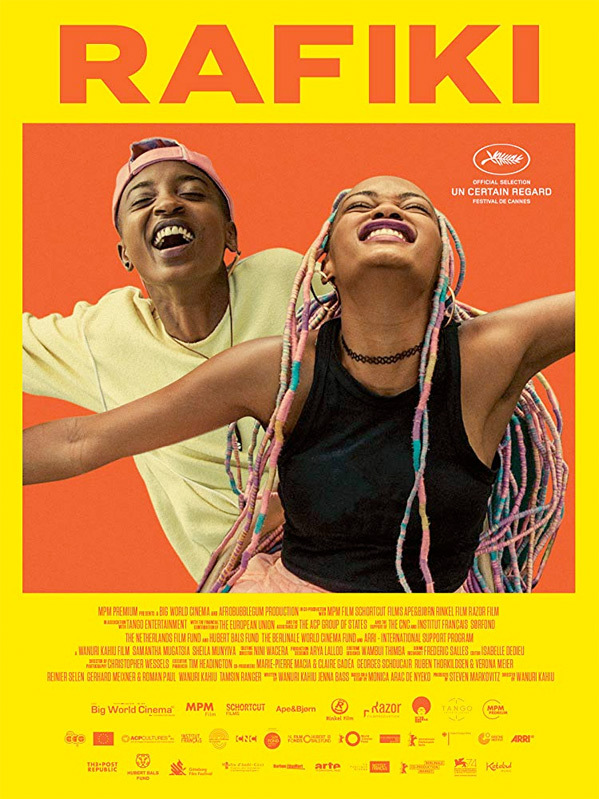 Film Movement has released an official US trailer for the acclaimed indie drama Rafiki, which premiered at the Cannes Film Festival last year and received quite a bit of attention as the first film from Kenya to ever play in the festival. From writer/director Wanuri Kahiu, the film is about a romance between two young girls in Kenya, still considered a taboo and choice that likely may lead to violence. Samantha Mugatsia and Sheila Munyiva star as the two leads, named Kena and Ziki, and the full cast includes Neville Misati, Nice Githinji, Charlie Karumi, Muthoni Gathecha, and Vitalis Waweru. This received mixed reviews out of Cannes (here's mine), as it's a bit conventional and cliche, but has some incredibly colorful style and it's an important milestone for Kenyan cinema. Check this out below. "Good Kenyan girls become good Kenyan wives," but Kena and Ziki long for something more. When love blossoms between them, the two girls will be forced to choose between happiness and safety. Rafiki is directed by Kenyan filmmaker Wanuri Kahiu, her second film after directing From a Whisper and a few other short films previously. Follow her @wanuri. The screenplay is co-written by Wanuri Kahiu & Jenna Cato Bass; based on the short story "Jambula Tree" by Monica Arac de Nyeko. This first premiered at the Cannes Film Festival last year (read our review), and also played at the Toronto, Helsinki, Zurich, Busan, Chicago, London, Adelaide, and Warsaw Film Festivals through the fall. Film Movement will release Kahiu's Rafiki in select theaters starting April 19th, 2019 coming up this spring. Who's interested in seeing this?